We have a wide variety of plates, candlesticks, vases, accessories, and seasonal items for you to decorate. We supply non-toxic ceramic paint, along with brushes and sponges. We also have a pottery wheel for those willing to try their hand at making their own ceramic pieces (please call for an appointment at 732-508-3092). 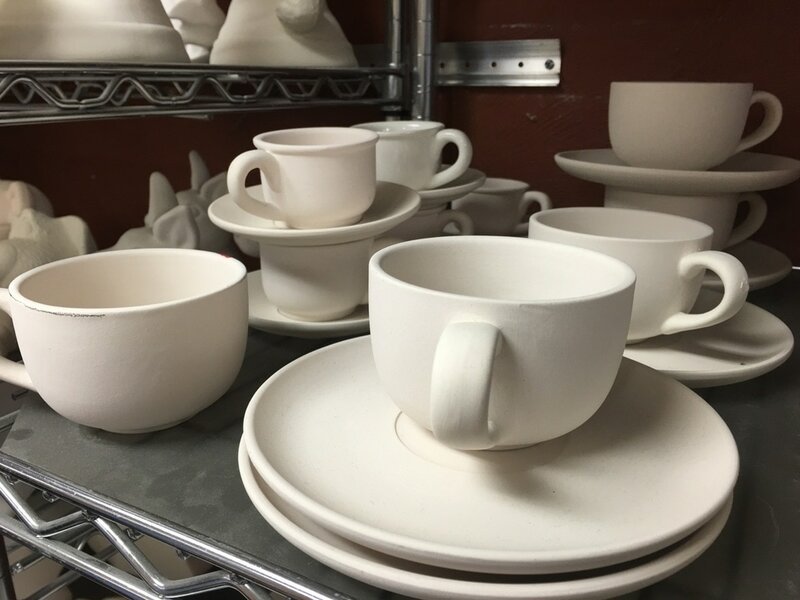 The price is the cost of the bisqueware, plus $6.00 per person for glaze and firing. Come in anytime to paint! Choose from our HUGE selection of pieces varying in style from adorable figurines for the kids to decorative platters for adults and holiday bisqueware for all. 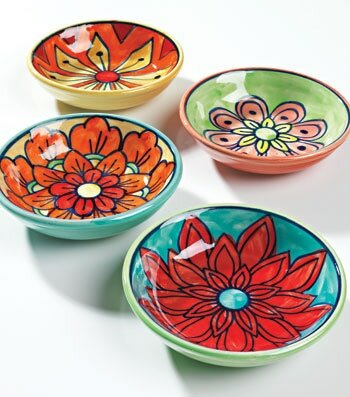 Before you begin painting, each piece of pottery must be cleaned off with a sponge and water. Then, you may select your colors and begin painting. We recommend painting at least three layers of paint to achieve a solid color. Step 3: Finish your Ceramics! Stay as long as you'd like and paint your pottery pieces. We have some completed ceramics for you to see ideas, or get creative with your own ideas! After you are finished, we will fire the pieces in our kiln and the colors will change to becoming bright and beautiful! 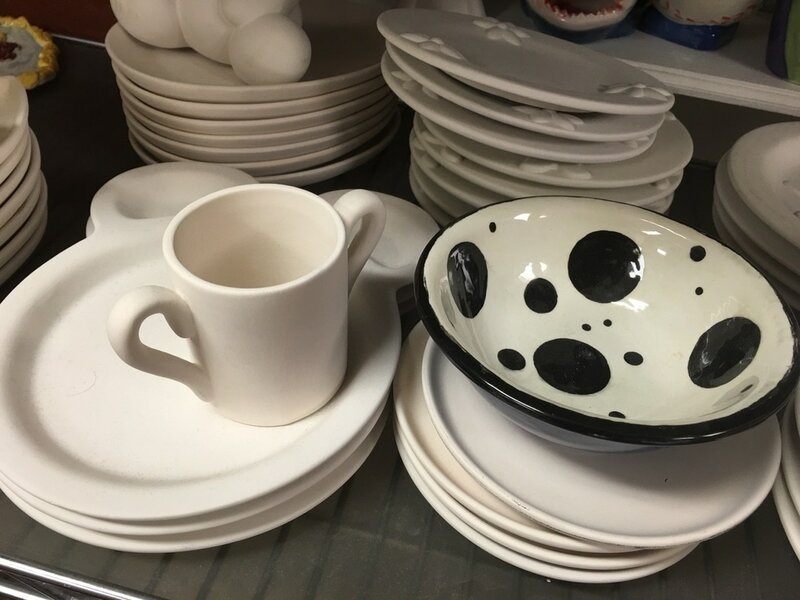 Two weeks after you finish painting your ceramics and leave them at our studio, you will be able to come back and pick up your masterpieces. Just bring back your receipt! 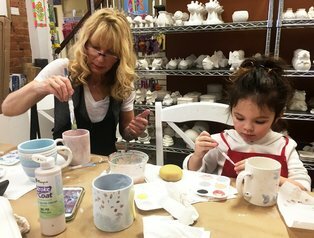 Hand painted ceramics are a great gift idea - fun for all ages! Remember - if you are coming with a large group and need us to reserve a room at our studio just give us a call at 732-508-3092 in advance! No additional charge!